The traditional bacon the house Steiner is pickled with carefully well-chosen spices and salt. After several days in the cold smoke the bacon matures for other 5 months at chill temperatures. During the maturation originates the typical noble mould which gives the typical mild taste to the product. 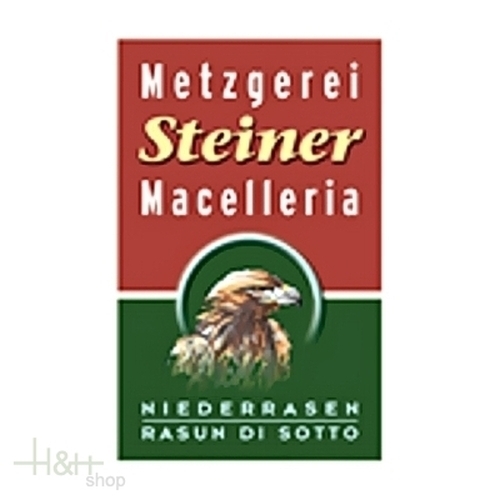 Steiner's house bacon is a special Gusto of the South Tyrolean bacon doer art. Buy now this product together with Beer Forst 1857 330 ml. ready for shipment: in stock Beer Forst 1857 330 ml. Buy now this product together with Tirol ham Villgrater 1/8 approx. 500 gr. ready for shipment: in stock Tirol ham Villgrater 1/8 approx. 500 gr. South Tyrolean bacon Senfter G.G.A. finely sliced 100 gr. Speck Senfter IGP sliced by weight fixed. 80 gr. of goodness of the High Adige, is a precious help in kitchen be like ingredient than like fanciful appetizer. Bacon Pancetta - Smoked. whole piece, vacuum, weight approx. 3.5 kg. 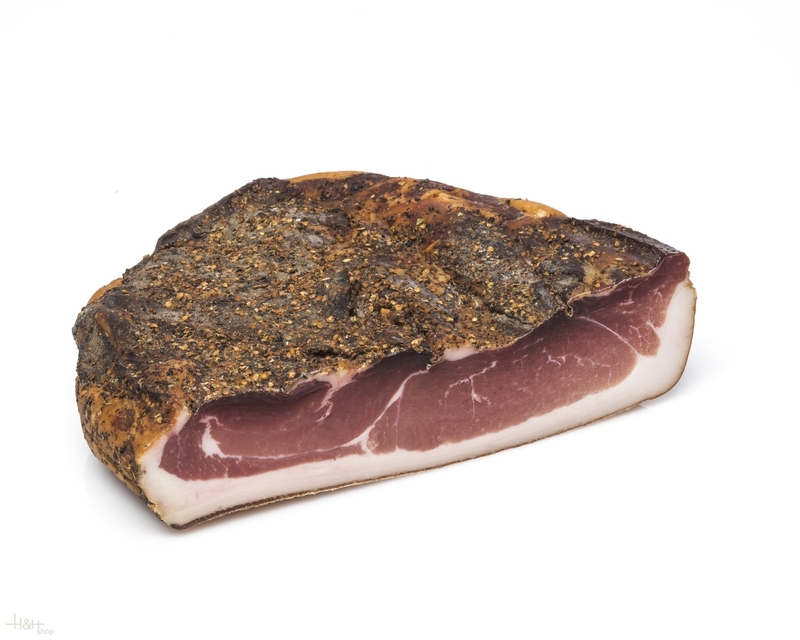 Speck Bacon South Tyrol Senfter IGP 1/2 approx. 2,2 kg. 38,00 EUR / 17,27 €/kg. Traditional Bacon Speck 1/8 approx. 500 gr. - Butchery Hell 11,20 EUR / 2,24 €/100 gr. Coppa Speck smoked 1/3 vac. appr. 500 gr. 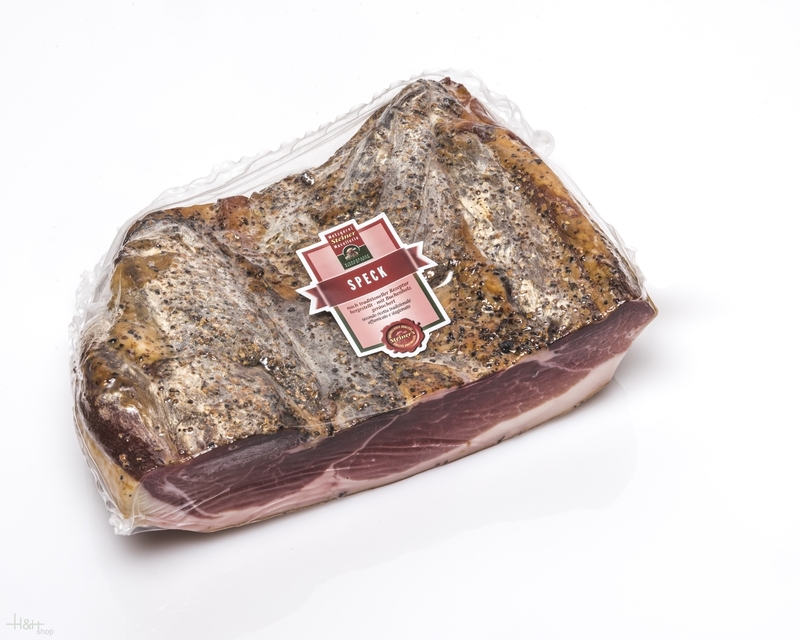 - Kofler Speck 11,15 EUR / 22,30 €/kg. South Tyrolean ham bacon Nocker G.G.A. vac. appr. 600 gr. 11,50 EUR / 19,17 €/kg. South Tyrolean ham bacon Nocker G.G.A. sliced vac. appr. 120 gr. 4,50 EUR / 3,75 €/100 gr.